For a fast response, call us now on 01179 728 564. 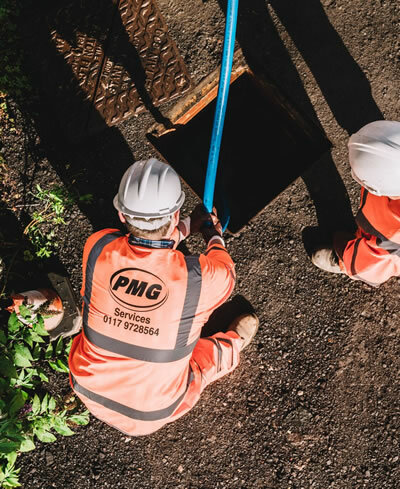 If you’re not sure if blocked drains are your responsibility or that of your local authority, or the water board, call us for advice. We’ll respond quickly to your situation, providing the right advice and equipment to identify problems and clean up where necessary. Any waste we remove is returned to our depot for treatment, sorting, reuse and recycling at our on site facilities or taken to a licensed treatment facility. All waste that we collect is disposed of responsibly, with documented traceability of where your waste has gone. This process contributes to your CSR policy whilst adhering to our environmental credentials. Any hazardous waste is sent to a treatment plant and disposed of according to environment agency stipulations. We’ll obtain the necessary permits for handling the material and provide an audit trail of movement from collection to disposal.